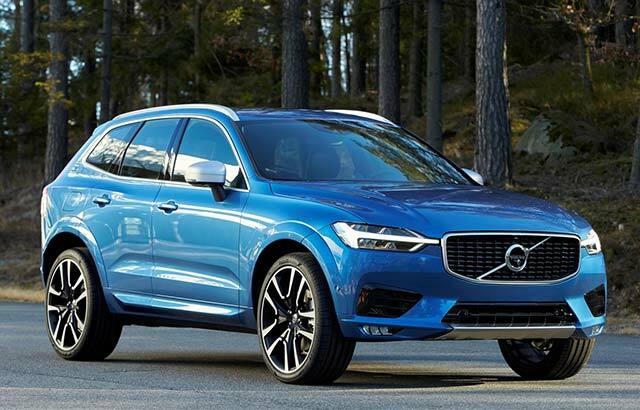 Volvo Car USA has released pricing for the highly anticipated all-new 2018 Volvo XC60. The mid-sized luxury SUV will be available with a T5 turbocharged gas engine producing 250 horsepower with all-wheel drive; a T6 turbo and supercharged gas engine producing 316 horsepower with all-wheel drive and a T8 Twin Engine Electric Plug-In Hybrid producing 400 horsepower with electric all-wheel drive. Pricing for the T5 starts at $41,500, the T6 starts at $44,900 and the T8 starts at $52,900. The XC60 is the fourth model based on Volvo’s in-house developed SPA vehicle architecture, following the introduction of the top-of-the-line 90 series in recent years. The new Volvo XC60 offers company’s aforementioned T8 Twin Engine plug-in hybrid at the top of the powertrain range, delivering 400 hp and acceleration from 0-100 Km in just 5.3 seconds. The front axle is powered by the 2.0-litre twin-charged petrol engine, while the rear is spun by the electric motor powered by 10.4kWh battery, which can be charged via the grid or regenerative braking. All XC60s will come equipped with a class leading level of standard equipment including a panoramic moonroof, leather seats, Thor’s Hammer LED headlamps, and Apple Carplay / Android Auto integrated into the 9 inch center touch screen. Optional features such as soft Nappa Leather seats with ventilation and massage, Bowers & Wilkins Premium Sound and four-corner air suspension bring a new level of luxury to the mid-sized SUV market.